Our mission at Zion Lutheran Church is to share daily bread with all people. We strive to live out this mission is by serving people in need within our community. 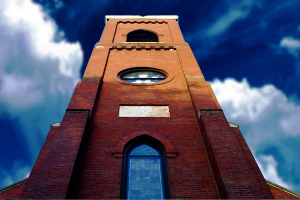 The vision of our ministry took shape in 1884 when a group of faithful men and women had the foresight to plant a congregation in the young city of Muscatine on a corner lot at 5th Street and Sycamore. We have grown a lot in our many years of ministry and have served many in our community through our compassionate ministry. 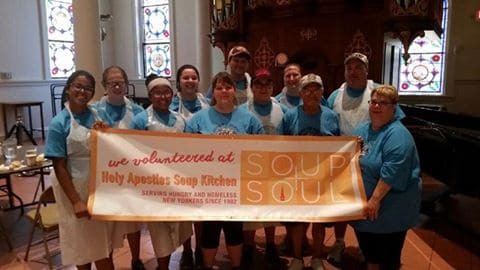 We are proud of our rich history of social ministry in Muscatine and invite you to join our ministry as we seek to serve others in Christ’s name! Get involved with our many ministries that have an impact on our community! Zion Lutheran Church is the founding church of the Lutheran Living Senior Campus. The Lutheran Living Senior Campus was established by Zion’s founding pastor, Henry Reinemund in the late 1880’s. 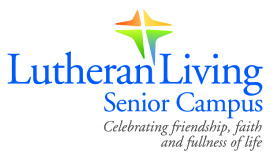 Lutheran Living is now a social ministry of the Evangelical Lutheran Church in America (ELCA) as it provides caring service to our community’s senior residences. We continue to seek ways to minister to our members and residents. Past projects include a staff appreciation event as well as collecting Christmas gifts for residents who have no family through our “Angel Tree” ministry. Gateway and Pathway Transitional Housing ministry. In 2003, Zion purchased a 5-unit apartment house located near our building. This home became known as the “Gateway” house, and in conjunction with the Muscatine Center for Social Action (MCSA), our gateway house provides transitional housing for people who are ready to move out of the homeless shelter but who still need to continued services and support on their journey to become self-sufficient. In 2011, a second home was purchased to provide the same type of transitional housing for a single family. Lutheran Social Services/ “Hopes House” Lutheran Social Services (LSI) is a social service agency that serves the needs of the people of Iowa. Zion Lutheran provides the office space through a house near our campus for the HOPES program. HOPES is a prevention program aimed at pre-school children and their families. Each year, Zion hosts the Christmas party for the HOPES children and their families along with our sister congregation – Grace Lutheran Church. The Muscatine Community Food Pantry provides food and non-perishable goods for community residents who are in need. 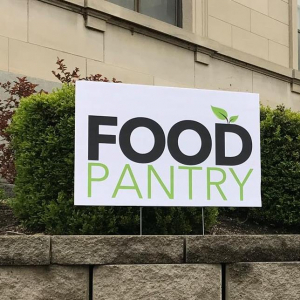 The pantry is located at 315 Iowa Avenue ( in the Muscatine County building). They are open Monday, Wednesday, and Fridays from 8:30-11: 00 A.M.
Muscatine Food Pantry. You’ll find that the people of Zion Lutheran are passionate about feeding the hungry in our community. We are active supports of the Muscatine Community Food Pantry and each month collect food donations as well as monetary donations to help feed the hungry. “Garden of Eatin’”- Started in 2016, the “Garden of Eatin’” ministry is our community garden located near our church. The garden aims to provide our neighbors access to fresh vegetables, and all the produce is given to the Muscatine Community Food Pantry. Emmaus Café is a feeding ministry started by our friends at First Presbyterian Church. You’ll find us having some fun as we serve some hungry neighbors. Families First (non-for-profit) social service agency. World hunger: each month on the 3rd Sunday all quarters in the offering plate are designated to assist with world hunger. Our youth collect money to be used through a ministry called “God’s Global Barnyard” which people around the world use to purchase animals and tools for people to make a sustainable living and to feed their families. Pastor Leonard Luwha of the Kirihio Lutheran Church in Tanzania and Pastor Steve Cauley of Zion Lutheran in Muscatine giving each other a “high-five” after a worship service in Tanzania. Zion Lutheran Church has an active relationship with our companion congregation, the Kihirio Lutheran Parish in Tanzania. We pray for each other daily and frequent trips are made by both members of our congregation as well as some from the Kihirio Lutheran Parish.